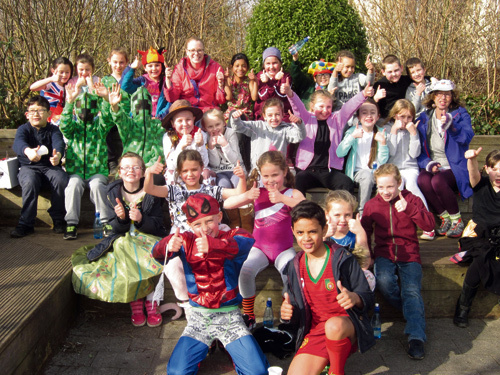 EVERYONE at Staple Hill Primary School - children and teachers - completed a Sport Relief Mile in fancy dress. The aim was to do something fun and sporty for a good cause. Some children walked, some ran and some even did the conga. On Friday March 18, all the pupils and staff paid £1 to wear red for the day and learned more about why they were raising money for Sport Relief.